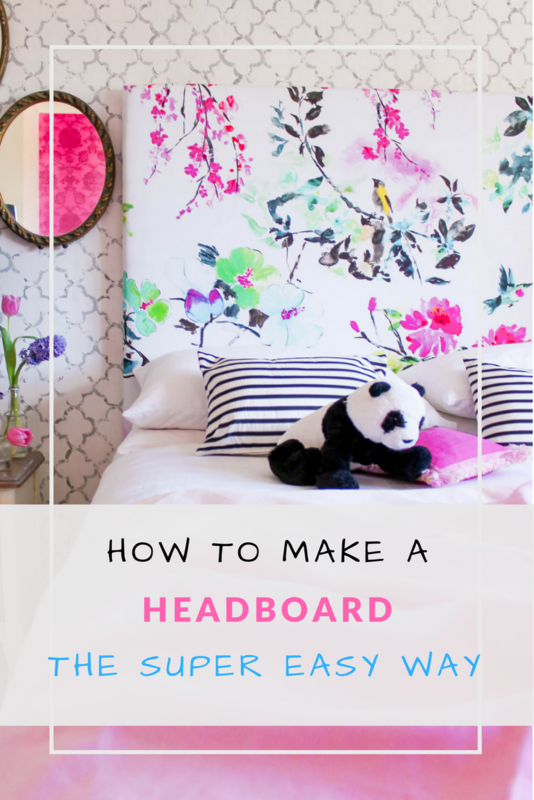 HOW TO MAKE A HEADBOARD… THE SUPER EASY WAY! I’ve always loved upholstered headboards, they are SO perfect for giving that “boutique hotel vibe” and when covered with the right fabric they can make a huge statement in a space. I have used them on high-end projects quite a few times, and I know that they can be quite pricey! 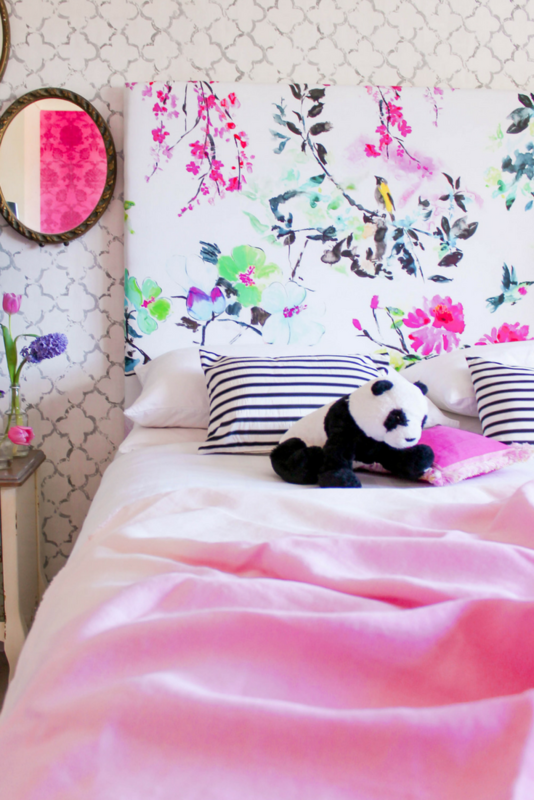 So when was time to decorate our little girl’s bedroom, I decided to make one myself… it saved me a lot of money and it was super easy and quick to make! 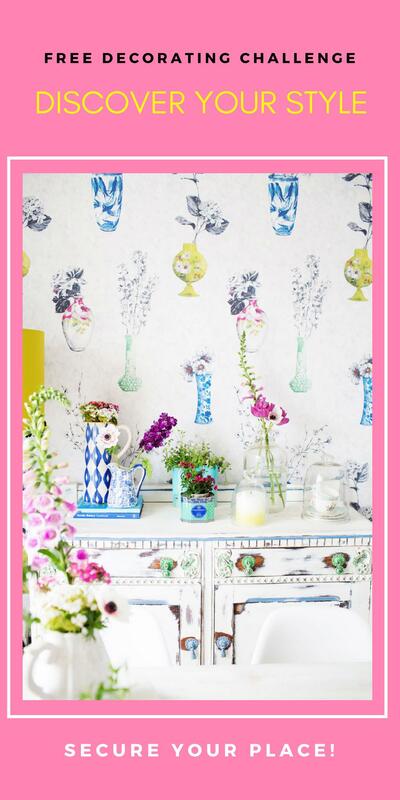 Actually, it was so easy that I ended up making a second one for our guest’s bedroom! 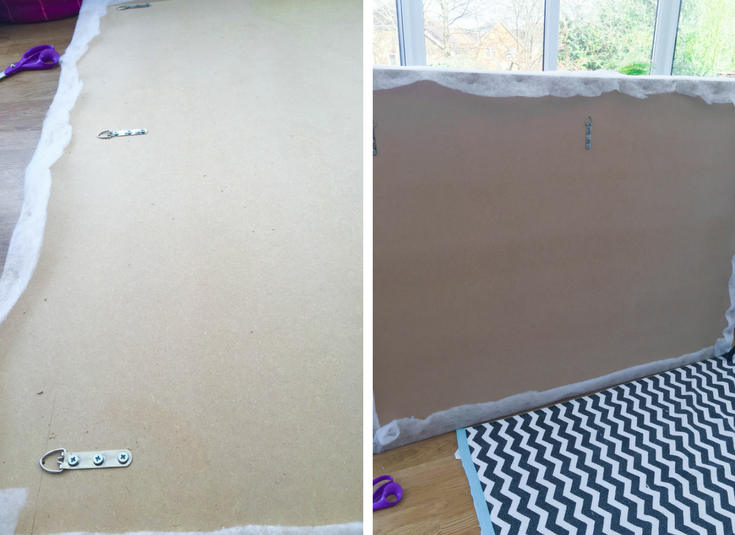 1.9cm MDF Board (1.35m x 1m – for a standard double bed) – Plywood would work too! Fabric (About the same size as the wadding) – I had a smaller piece of fabric and it was almost not enough!!! STEP 1: Lay out the board on a clean floor. 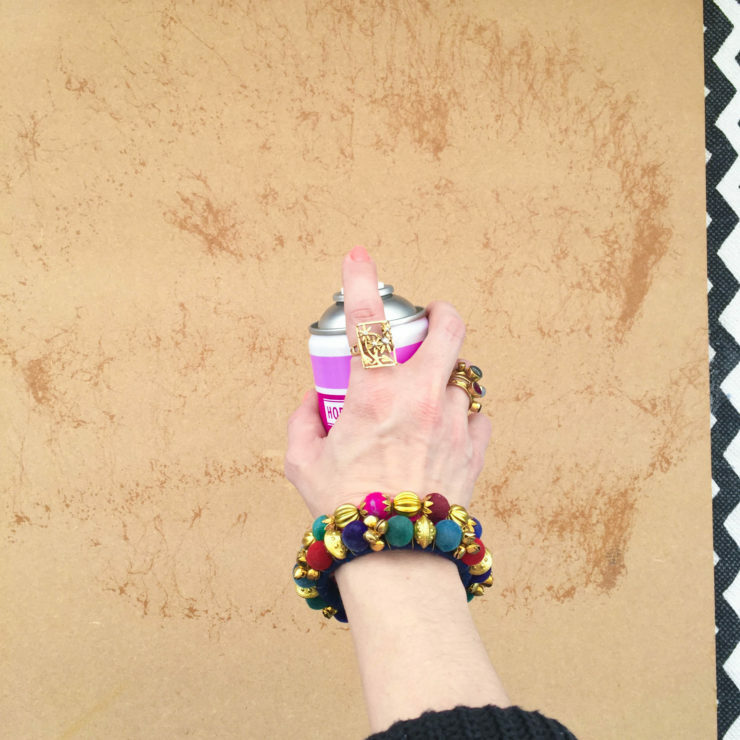 STEP 2: Spray the adhesive all over the board. 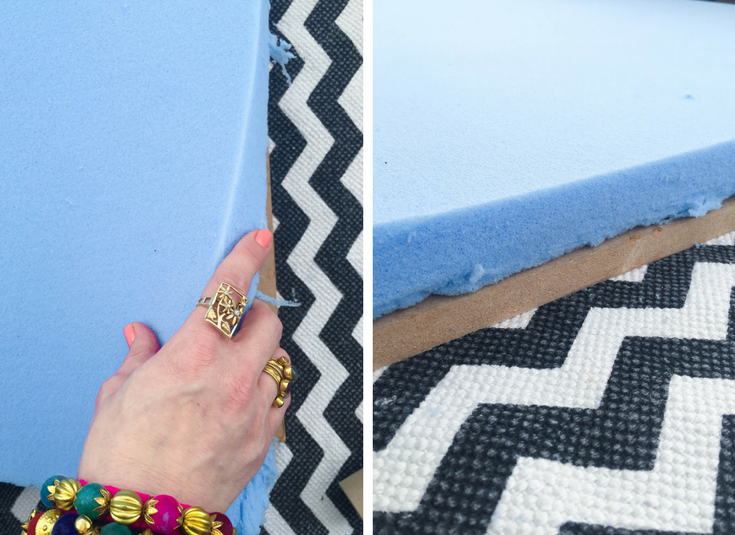 STEP 3: Place the foam on top of the board, making sure it is centred. 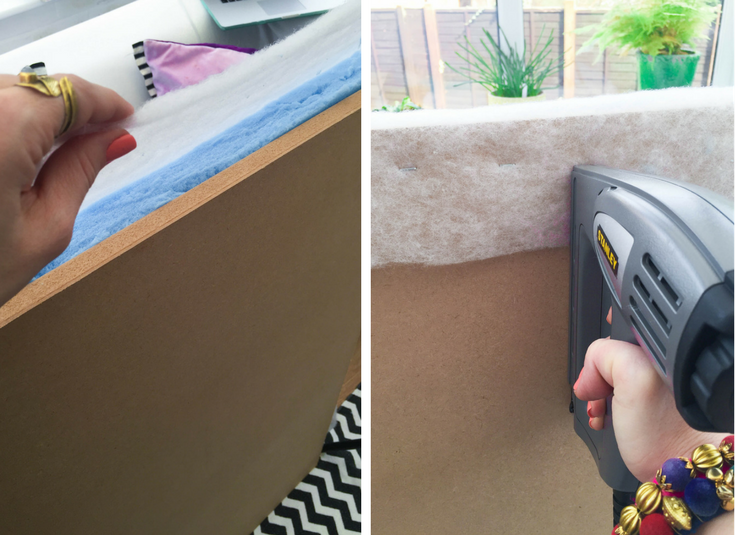 STEP 4: Spray the adhesive all over the foam. 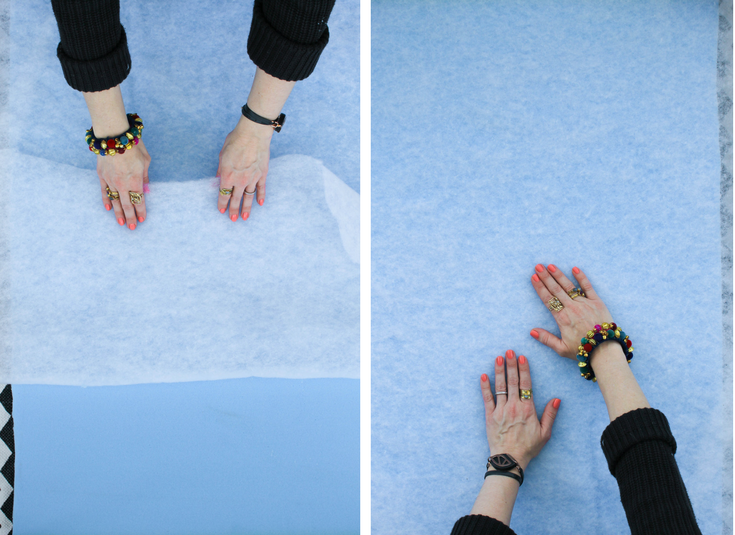 STEP 5: Place the wadding over the foam, making sure it is very smooth and well stretched. STEP 6: Lift it up from the floor and place it against a clean wall or something else to give it some support (I leant it against the sofa). 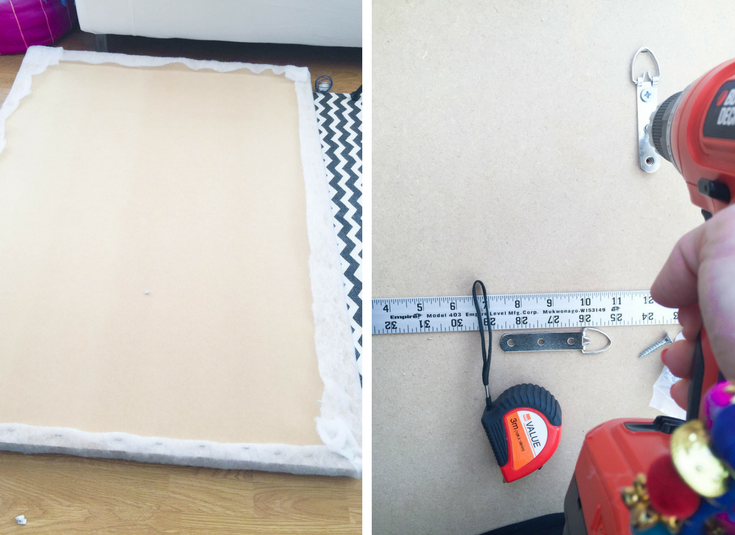 STEP 7: Staple the wadding to the back of the board, pulling it very tightly as you go. STEP 9: Lift the headboard up and lean it against somewhere again. 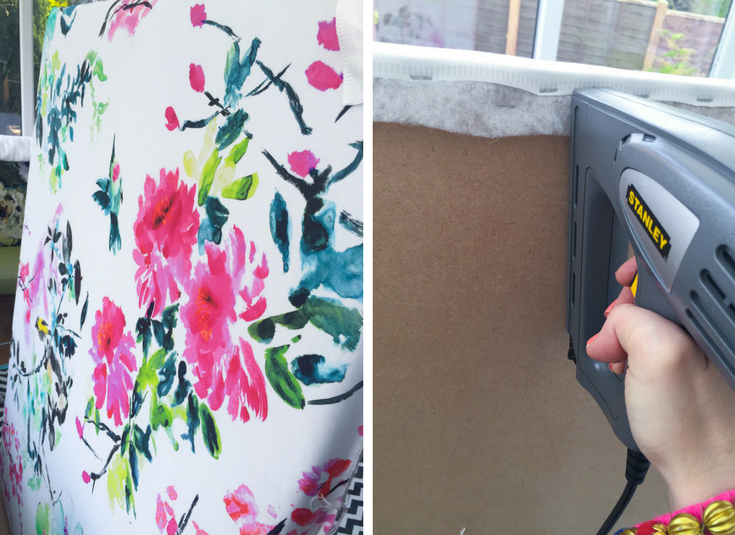 STEP 10: Place the fabric on the headboard and start stapling it, pulling and stretching it as you go. And ta-dah!!! 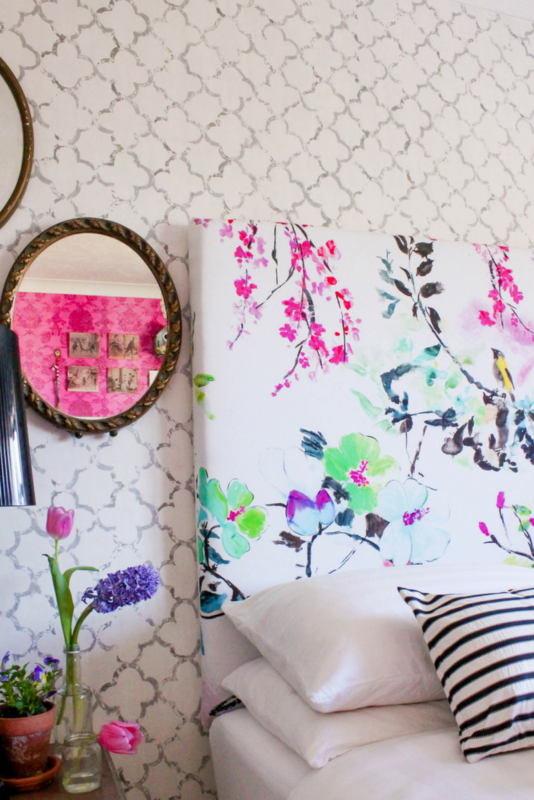 Your headboard is ready to hang!!! 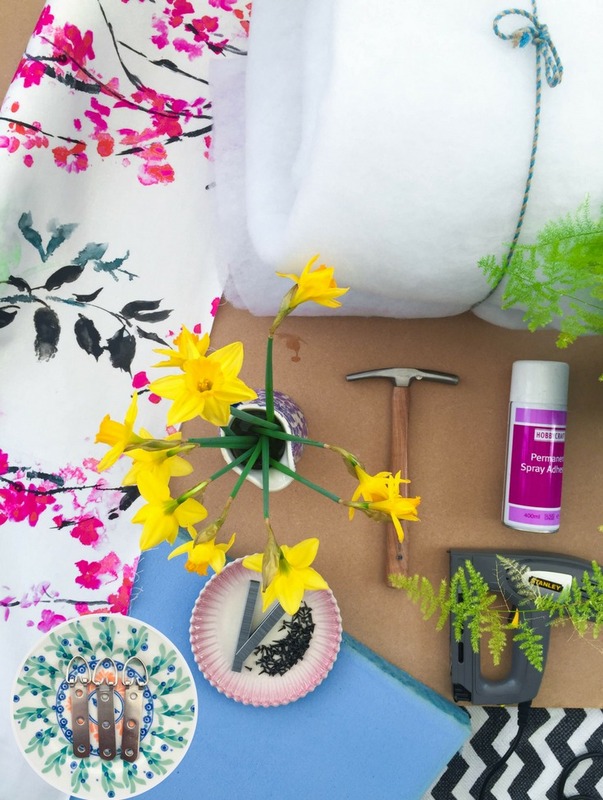 Looking for more tips on how to make the most of your budget? Read this post and download the Budget Workbook + the Budget Spreadsheet. 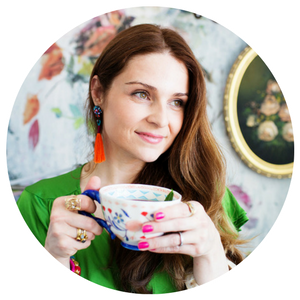 So, did I manage to inspire you to make one too? Or have you done one before and have any tips about making it? Please tell us in the comments section below… Also if you are on Instagram, please share pics of your homemade headboard with us using the hashtag #designedbyablueberry. Can’t wait to see it! !